Home PostsPaintFest 2018 is Saturday! 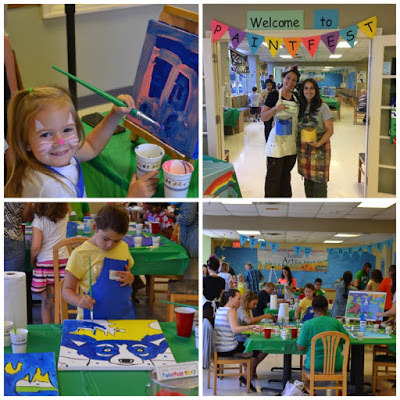 GRFA invites you and your family to join us Saturday, August 18, for PaintFest 2018, a FREE community art-making event at Tulane Lakeside Hospital for Women and Children! GRFA supports the Arts in Medicine program’s mission of recognizing the integral role arts play in healing the spirit while transforming the hospital experience. If you and your family love to paint, we invite you to join us for this festive morning program! Questions about PaintFest? Contact the Tulane Arts in Medicine team at 504-780-6830. PaintFest 2017 attendees helped us create Rodrigue-inspired murals for Tulane Lakeside Hospital.